Racism in higher education is often conceptualized as a student or individualized problem. If institutions of higher education are serious about making progress in this arena, however, they need to view racial conflict not as a personal problem but as an organizational issue, where all stakeholders are accountable for the racial incidents that occur on our campuses. Some of the most enlightening discussions I have had about racial conflict on college campuses have been with parents. Parents are an important piece of the higher education puzzle, and a piece that researchers and administrators often have difficulty figuring how to include in the conversation. Yet, alongside students, parents are often some of the strongest advocates for institutional change on campuses. The following is inspired by a conversation I had with a parent of two Black college students who worried about racism his children face on their respective campuses. So I described the process. I told him that first, I was honest about who I was – a university administrator who had worked with students for over a decade and with administrators who felt that they needed more training on how to address racial incidents. My intention was to figure out how people on campus felt about racist incidents and based on that, how to provide more support for the higher education community when these incidents occurred. That seemed to help people be at ease with my work and me. Interestingly, many of the participants felt duty-bound to share what they had learned over the years about responding to racist incidents, especially because much of what was learned was often entered into a campus racial climate report that was shelved and ignored. Students, administrators and faculty had different understandings of campus racial conflict. In particular, administrators and students have vastly different ways of looking at racial incidents on their campuses: administrators tend to rank incidents by degrees of intensity while students focus on frequency. Since there is a gap in understanding between what administrators perceive and what students experience, there is a lack of trust between these two groups that contributes to inconsistent information about racial conflict that is spread across campus, the public, and sometimes, media. As administrators, we construct strategies based on what we think has worked in the past rather than what students are telling us about what works or doesn’t work for them. The cab driver was silent as I spoke about my work. When I finished, he sighed. Then he said, “I am scared. I am the father of two Black boys; both of them are in college. And they tell me stories about the kind of racism they see. But as a parent, I don’t get that information anywhere. It’s not written anywhere, I can’t find it anywhere. And I don’t know how to help them except to tell them to stay strong.” He went on to explain that he was surprised at how much information the campuses gave him about sexual misconduct but when another parent asked about racism, he felt the parent was dismissed and told that it doesn’t happen very often. The cab driver said that his children tell another story and as a parent he feels helpless. Hearing this parent articulate his fears made my heart sink. These were eerily similar to words my parents uttered when they dropped me off on my first day of college over 20 years ago. The cab driver’s concerns also make me wonder if higher education is at all interested in the consequences of our educational decisions and how these decisions and other policies in higher education contribute to our schools and campuses persisting as sites of Black and Brown suffering rather than liberatory organizations. Today, in the diversity era of higher education, it is imperative to begin asking ourselves if the initiatives we have implemented in the name of diversity are working to support students as they navigate racial conflict on their campuses. What could help explain such similar sentiments from two different sets of parents twenty years apart? One perspective suggests that historically, educational institutions have been oppressive environments for students who do not identify as white. More recently, schools have been identified as sites of Black and Brown suffering. Researchers have found that Black and Brown students suffer various forms of racism, conceptualized more recently as micro-aggressions, racially motivated hate crimes, and racially motivated bias incidents on college campuses. Although this parent did not describe the types of racism his children are experiencing in college, my research could provide some idea about what they could be confronting. Many of the studies focused on racial incidents often describe them as micro-aggressions, racially motivated hate crimes, or racially motivated bias incidents, I noticed that these terms often focused on the individuals. However, what if we studied racial incidents as an organizational problem? Doing so would force us to look at racial incidents as more than just an individual and psychological issue – in other words, just a student problem. Viewing racial incidents from an organizational conflict perspective would provide us with the tools to explore the consequences of educational decisions that contribute to pervasiveness of racial incidents. From an ethical perspective, understanding these consequences is imperative as it offers stakeholders in higher education the opportunity to hold each other accountable for racial incidents as they occur. With this in mind, I used organizational conflict theory to help me understand and organize the types of racial incidents I heard about. What is organizational conflict? It is “[t]he clash that occurs when the goal-directed behavior of one group blocks or thwarts the goals of another.” (Jones, 2013, p. 413). It also “…arises whenever individuals or groups perceive differences in their preferences involving decision outcomes, and they use power to try to promote their preferences involving decision outcomes, and they use power to try to promote their preferences over others’ preferences’” (Tolbert & Hall, 2009, p. 79). Conflict within individual The behavior expected of the individual within the college community does not conform with the values and beliefs held by the individual. Students feel the need to physically “shrink” to make others feel comfortable. Student leaders expected to side with the institution rather than their group during times of racial conflict. Students expected to stay quiet after a professor or administrator makes inappropriate racist comment. Interpersonal Conflict Interpersonal conflict occurs between two or more individuals. It is the most common and most recognized form of conflict. This conflict is exacerbated when campus resources cannot be shared. Being called a racial slur by peers while walking through campus. Racist jokes and comments that are covered up by peers with excuses for racist behavior. Conflict between the individual and the group All institutions of higher education have established certain behavioral norms and operational standards that all members are expected to adhere to. An individual member may want to remain within the university but may disagree with the group goals and the methods to achieve such goals. Defacing property such as writing derogatory messages on offices dedicated to students of color in response to diversity initiatives on campus. Intergroup conflict A college or university is an interlocking network of student groups, offices, and departments. The intergroup conflicts are not so much personal in nature as they are due to factors inherent in the organizational structure that foster racism on campus. Racist Greek parties denounced by other student groups. Inter-organizational conflict Conflict also occurs between organizations that are dependent upon each other in some way. Competition between universities such as in sports. 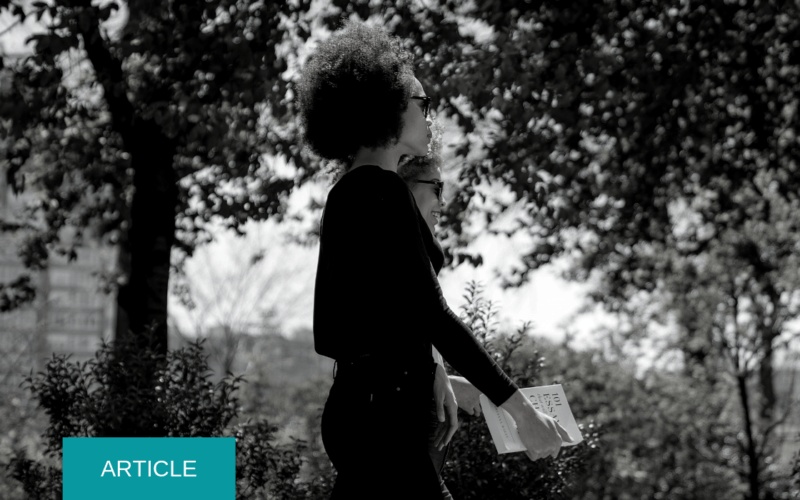 In the past two years, media has highlighted the pervasiveness of racial incidents on college campuses; a review of over forty years of studies that focus on the experiences of students of color on college campuses support these news reports. Tolbert and Hall (2009) suggest that the pervasiveness of organizational conflict means that the reason why organizational conflict exists is due to systemic reasons, not individual ones. In other words, to continue studying these problems from an individual and psychological perspective is not enough and we must think about this issue very differently if we are truly interested in the racial constitution of higher education. Below, I highlight several strategies that can be employed by colleges and universities seeking to understand students’ experiences with racial conflict. As long as we consider this issue to be a systemic problem we will move from looking at racial incidents (e.g. problems affecting students) to looking at organizational racial conflict, which I define as a racialized system in which values, behaviors, practices, and policies clash and are decided upon by those within the organization who have power. The following strategies are considered upon careful examination of the data I derived from my research. My research demonstrates that administrators (i.e. individuals responsible for running different areas of a university) often think about racial incidents according to degrees of intensity and the Survey of College and University Presidents from the Inside Higher Education and Gallup supports this data. The report indicates that college presidents believe that race relations are “good” and not as bad as at “other” institutions. I found that many of the administrators had similar sentiments, but I also found that students do not see racial incidents in this way – they perceived them in terms of frequency; in other words, they see them as a phenomenon that occurs daily and in the words of many of the students “all the time” and “everywhere.” This is an important distinction because it doesn’t suggest that either group is necessarily wrong; they just perceive campus racial conflict very differently. Reporting incidents of campus racial conflict is prerequisite to understanding and combating patterns of racist behavior. Campus racial conflict has long been studied as a health issue, an environmental concern, and an educational issue. Listening to this parent speak helped me realize that this is also an ethical issue. These sites of Black and Brown suffering affect not just students, but also their parents. Parents, specifically parents of Black and Brown students, are not being informed of the kind of racism that affects their children at their campuses. While parents are often not considered stakeholders in higher education, to neglect that many students have families who care about these issues is to be willfully ignorant of the whole student. One administrator admitted there is no place to record subtle incidents of campus racial conflict, in part because some colleges and universities are only mandated to report bias incidents that are racially motivated. Any other type is not considered serious enough to report. Higher education administrators who are invested in creating change on their campuses must change how they think about campus racial conflict – not just as a phenomenon that occurs “over there.” Higher education administrators must be attuned to different types of campus racial conflict, not only in terms of intensity, but also in terms of frequency. Administrators who desire for their institutions to be transformative and not sites of Black and Brown suffering have the ability to decide what is important to report and therefore must act upon it. Diversity initiatives alone do not alone lessen the intensity of campus racial conflict. 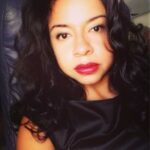 Higher education is slowly understanding that White Supremacy cannot be counteracted via diversity efforts; that it indeed must be confronted head on, as demonstrated by college students who are acting upon racial suffering by protesting for necessary changes in the racial constitution of their campuses. Thus, we need to ask ourselves as administrators, what are the unintentional consequences of diversity efforts? My research also demonstrates that one of the consequences of the diversity movement is providing the appearance of positive race relations and less intense incidents of campus racial conflict. Consequently, we could be ignoring the problems posed by campus racial conflict rather than addressing them. I very often think about the parent with whom I spoke during that cab ride. I wonder about the ways higher education campuses have become spaces for Black and Brown suffering and how this affects how our students learn and succeed. How many parents are scared for their children, believing that earning a college degree is important despite the suffering their children endure? In higher education, it is important to identify organizational racial conflict as a serious systemic issue on our campuses so that we are creating and encouraging more universities to become institutions of liberatory experiences rather than sites of Black and Brown suffering. Dr. Blanca E. Vega, the daughter of Ecuadorian immigrants, is Assistant Professor of Higher Education at Montclair State University. She earned a doctorate (Ed.D) at Teachers College, Columbia University. In 2015, Dr. Vega defended her dissertation entitled: “Beyond Incidents and Apologies: Toward a New Understanding of Campus Racial Conflict. Between 2006 and 2014, she worked as Director of the Higher Education Opportunity Program (HEOP) at Marymount Manhattan College. Dr. Vega earned her Bachelor of Arts degree in Anthropology from Brandeis University and a Master of Arts degree in Higher Education at New York University.